My children and grandchild love Minecraft and they are active in both the console version and the PC. It's really a great game not just for fun but we utilize it also for homeschooling lessons. Minecraft is loads of fun with children and adults (my oldest) placing blocks and going on many adventures. My youngest thoroughly enjoys exploring especially caves to mine gems as well as creating worlds and building amazing things to surprise her sisters and niece. She takes such joy in creating the smallest of things like a simple house to a grandiose castle that she would see in one of my shows from England. We have found that Best Buy has an array of Minecraft games and collectibles. Her Christmas list is full of every possible Minecraft item. 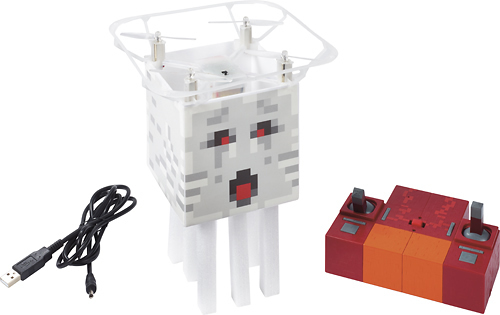 My youngest has requested the Mattel - Minecraft Flying Ghast Quadcopter with Remote Controller which I have obliged much to her surprise. Right now, you can even save $20 by visiting Best Buy to purchase and it's not too late for Christmas to order between the ship to home or pick up options. 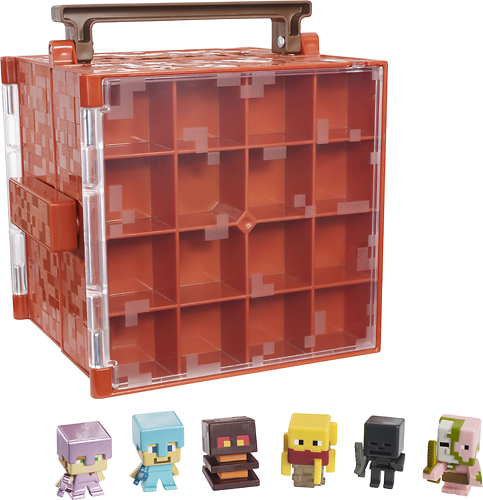 Another great gift idea is the Minecraft - Mini Figures Case that can allow your child to transport up to 32 figures. It's a great way to store and travel with them without the fear of losing them. They can even flip it over to discover Minecraft world complete with a playtime portal. All my children enjoy the Creative Mode since they have unlimited resources or they can mine deep in Survival Mode. The weapons and armor they can create to help defeat the expected and sometimes unexpected mobs is a lot of fun either by themselves or with their sisters or niece. It's a great family-friendly game and I would highly recommend it for children. The other great thing about Minecraft is there is such a huge choice of items that make great gift ideas from the game itself but also the toys that are available at Best Buy. 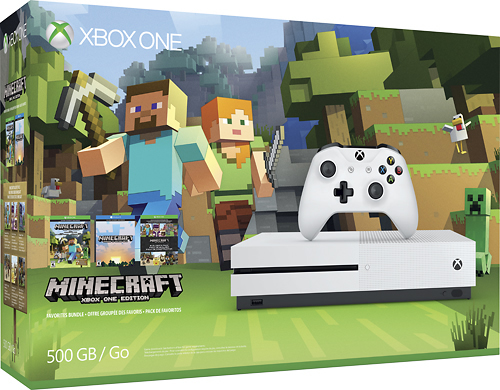 One of the big items my children have been wanting is the Xbox One S console bundle that Best Buy has and I can imagine it would be their favorite gift from Santa. This Christmas, they are going to have a Merry Best Buy Minecraft Christmas! My daughter is 9 years old and just loves minecraft on PS3. My nephew plays Minecraft on his XBox One. My daughter loves Minecraft. She plays on an Xbox 360. My kids all play/played Minecraft. They usually play on a computer, but also have it on the PS4. My kids love Minecraft. They play on their PC. My son plays Minecraft on his XBox One. I've never played but my nephew loves Minecraft.